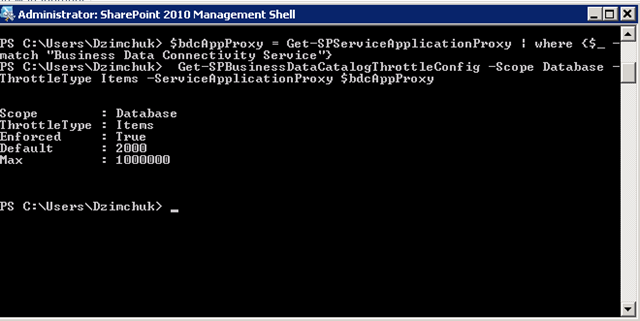 SharePoint Server 2010 includes a great feature called Business Connectivity Services that allows to consume data from external sources and present it as SharePoint lists. 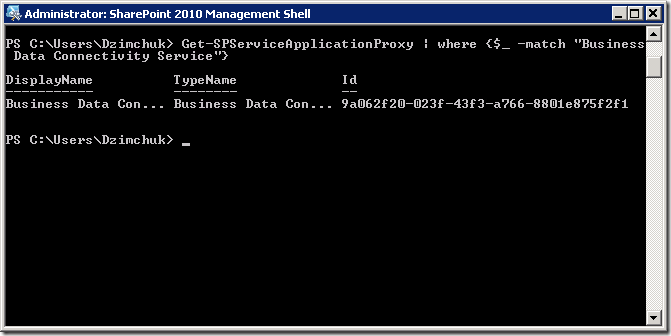 You can consume data from databases, web (WCF and not only) services and even from the custom BDC entity services (which is just custom .NET code that you can develop and deploy into SharePoint). Being able to present this information as lists gives us a consistent programming model against different data sources. However, external lists are throttled to protect the server from being overwhelmed by the amount of external data. There are limits on a number of rows that can be fetched from external databases, on the size of the data that can be received from web services and there are also preconfigured timeouts that are applied when talking to databases and services. We should keep this in mind and writing our functionality that relies on it and that the throttling values can be configured. I was trying to get data from a database table that contains a bit more than 10000 records. 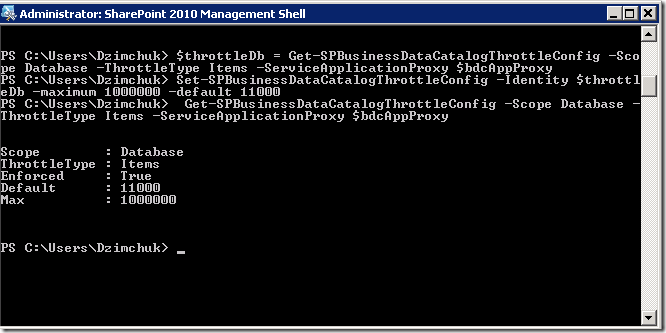 I was trying to display that data in an external list that I created with SharePoint Designer. Error while executing web part: System.InvalidOperationException: Unable to open the specified list item. ---> Microsoft.BusinessData.Runtime.ExceededLimitException: Database Connector has throttled the response. The response from database contains more than '2000' rows. The maximum number of rows that can be read through Database Connector is '2000'. The limit can be changed via the 'Set-SPBusinessDataCatalogThrottleConfig' cmdlet. It’s really great to see messages that really tells you what happened and how to remedy the situation! It was the case here as well. Official documentation I found at Set-SPBusinessDataCatalogThrottleConfig and Get-SPBusinessDataCatalogThrottleConfiglooked a little bit scary. 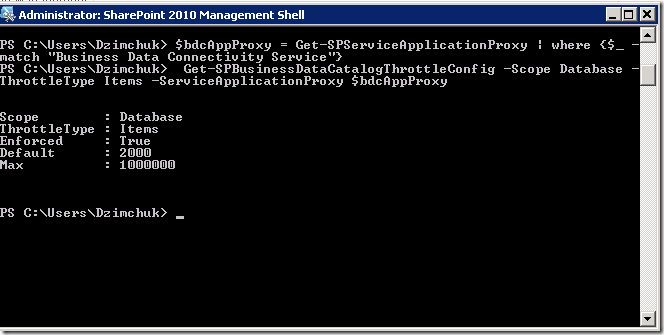 For example, what should I pass as a required ServiceApplicationProxy parameter? Then I hit upon this post that made everything crystal clear: Large List Throttling for External Lists in SharePoint 2010. Now our list successfully gets data from that table. Remember, there are also throttling settings on the amount of data that can be received from web services and there are default 3 minutes timeouts.